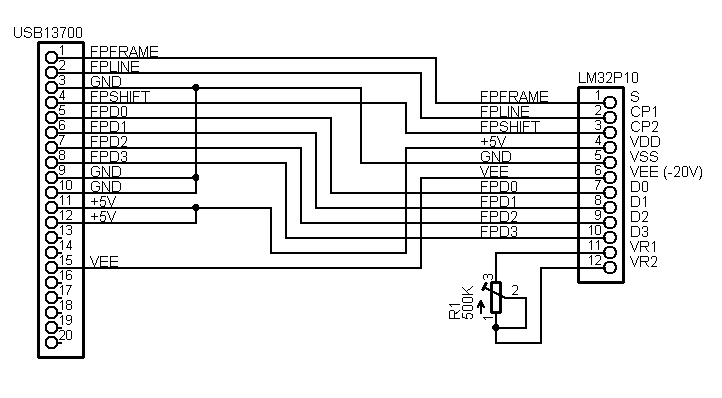 Following schematic shows the connection to Sharp LM32P10 LCD. The same pinout is used also in the LM32K10 and LM32K102 models. hi, thanks for your sharing .